Amazing weekend climb of Mt Murchison (2408) in brilliiant weather. Day 1: Walk into Anti Crow Hut on Friday night. 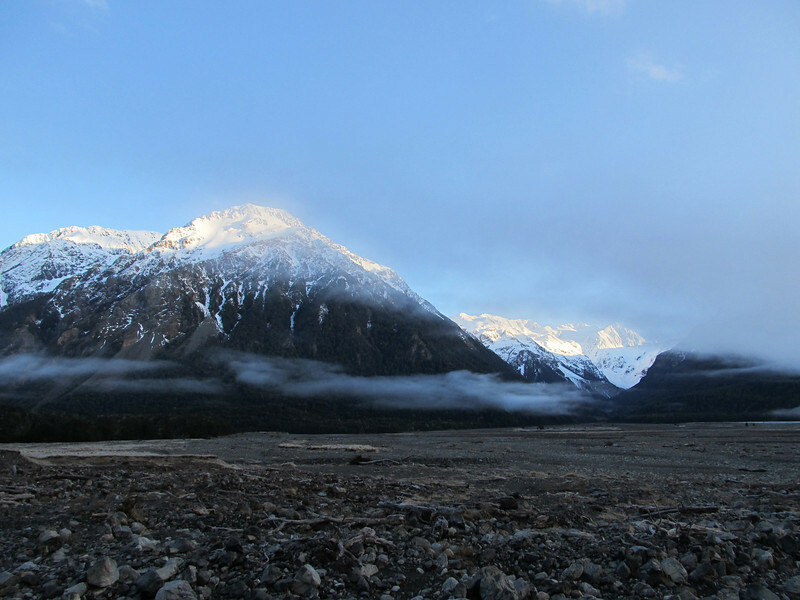 Day 2: Walk to Barker Hut plus some step plugging up to the bottom of the White Glacier Icefall. Day 3: Climb of Mt Murchison via the White Glacier and a snow couloir leading to the North Ridge just below the summit followed by a sidle onto the Denis Creek couloir, which led to the summit. Back to the road the same day. Early morning in the Waimak.